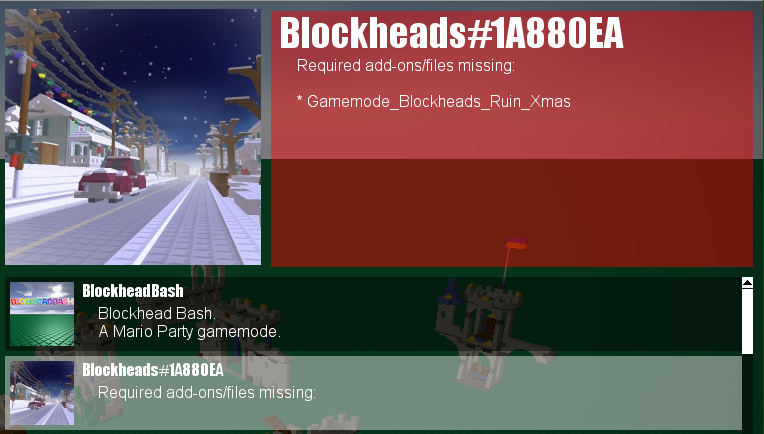 Now a big update and the blockland community is satisfied for another year. He just increased the brickcount without improving perfomance with lot's of bricks, almost nobody will be able to run that. Is the maximum draw distance limit ever going to be raised again now that terrains are far gone? Similarly, this has happened to me ever since this gamemode came out. Reported it to Badspot multiple times. He never fixed it. I have this issue as well, with multiple gamemodes/things. I also found some older addons I had messed up in the same way. I thought it was my hard drive, guess not. Seems to be a convertFile function, but not sure what it does or how to use it. It's not from an add-on. it's from init.cs.dso. Seems like it takes a regular script file and removes all returns, tabs, and comments. the forget is wrong with you man? i had to buy a new keyboard cos the old one broke from my tears of nostalgia.